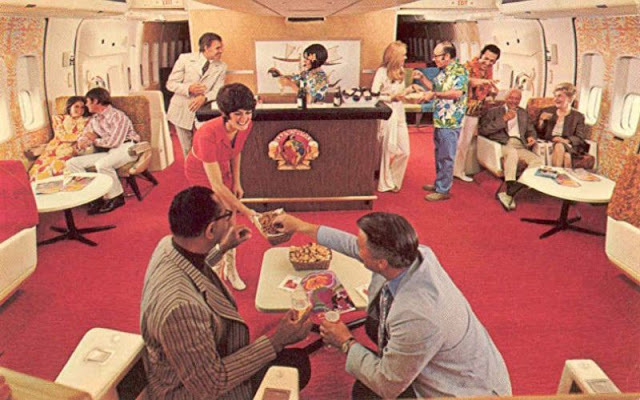 Today domestic first class means free drinks and food, and a seat that might not leave you with a chronic back condition. 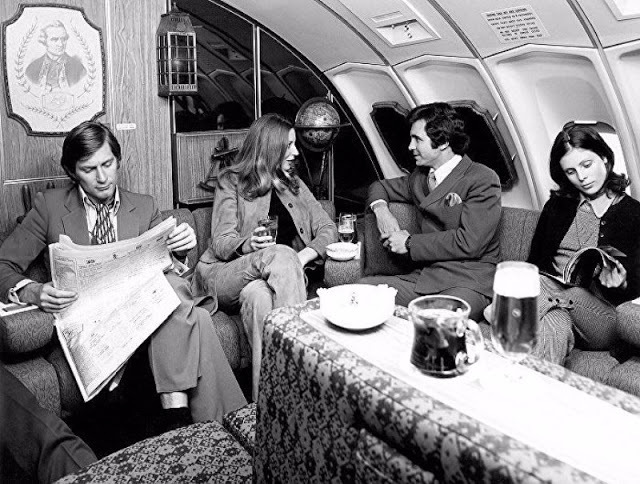 While deregulation played a large role in driving down quality and prices, this ‘golden age’ of luxe airborne lounging was largely brought to an end by the Arab embargo induced oil crises of the 1970s. 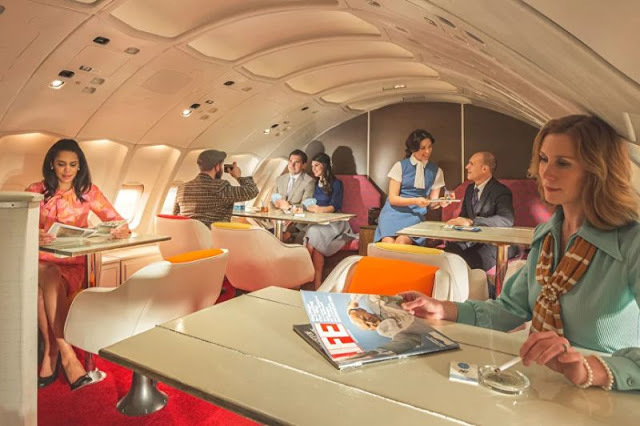 In an ironic twist, if you’re looking to have a drink in a 1970s style airborne lounge today, the Middle Eastern carriers Etihad and Emirates are your best options. 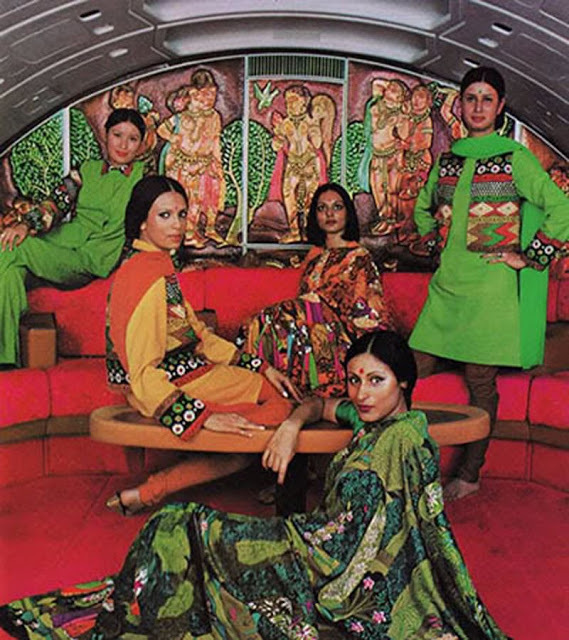 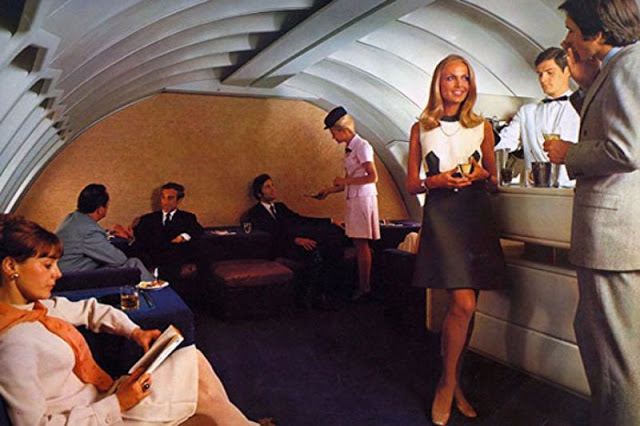 Back in the early 1970s it wasn’t just absolutely over-the-top Middle Eastern carriers who offered this sort of lounge experience. 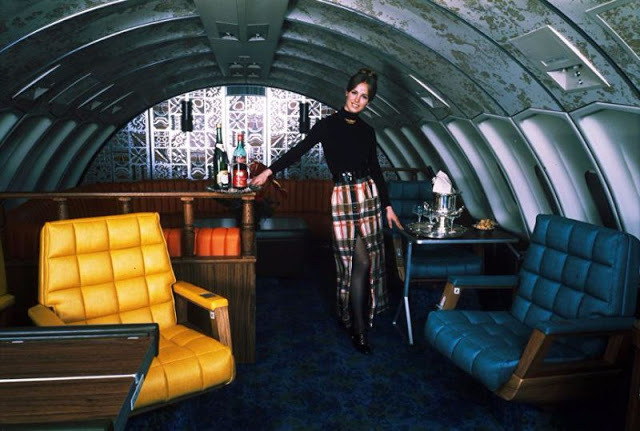 When the first Boeing 747 took to the skies in 1970, its iconic upper deck presented airlines with an interesting conundrum: initially the space wasn’t certified by the Federal Aviation Administration (FAA) to carry passengers during takeoff and landing. 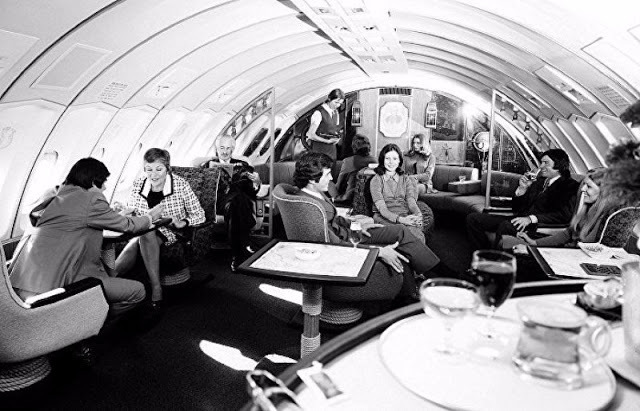 While certification came quickly enough, in this era, competing for passengers meant providing unique amenities. 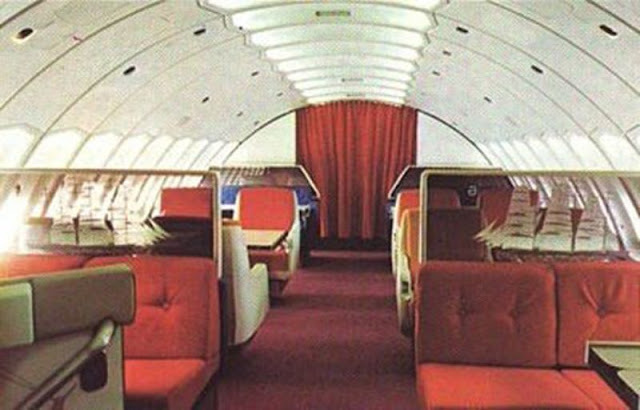 Therefore many airlines decided to convert the space into lounges, typically, but not always for premium fare passengers. 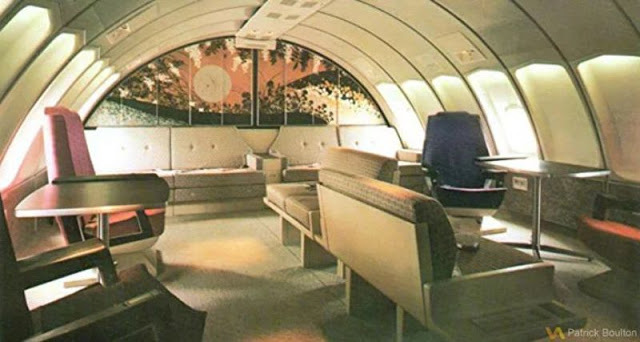 Surveys at the time indicated that around 30% of Pan Am’s passengers chose to fly with the airline for this feature alone, and it’s one that you can still experience on the ground – just not in the air. 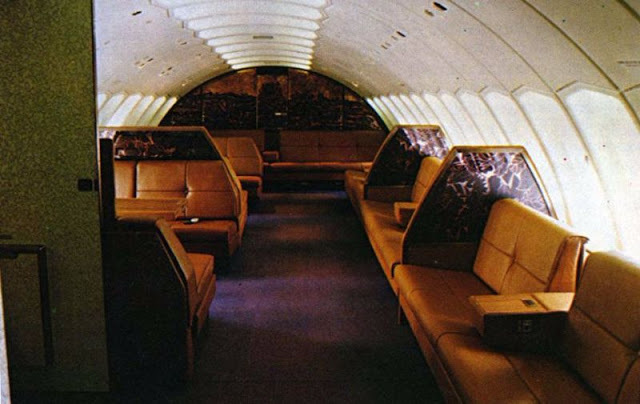 While Qantas again provides a small inflight lounge and meeting area on today’s Airbus A380s, it’s not quite the upper deck of the ’70s. 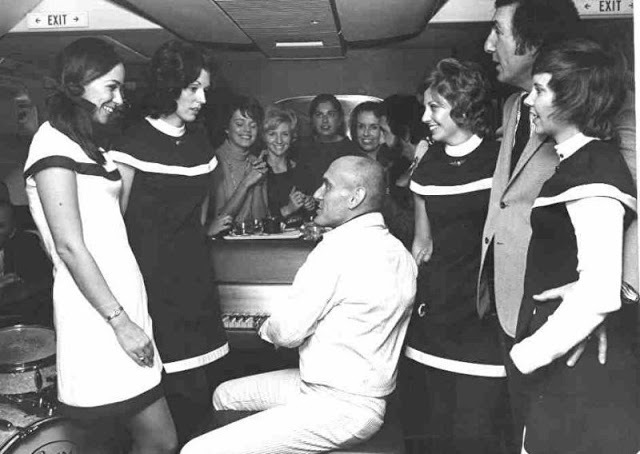 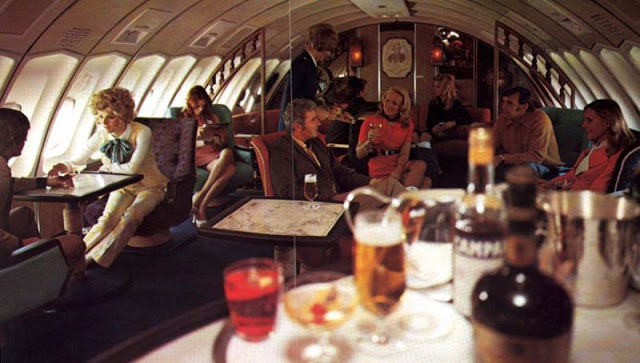 American’s Boeing 747s came with a fully-fledged piano bar on the lower deck. 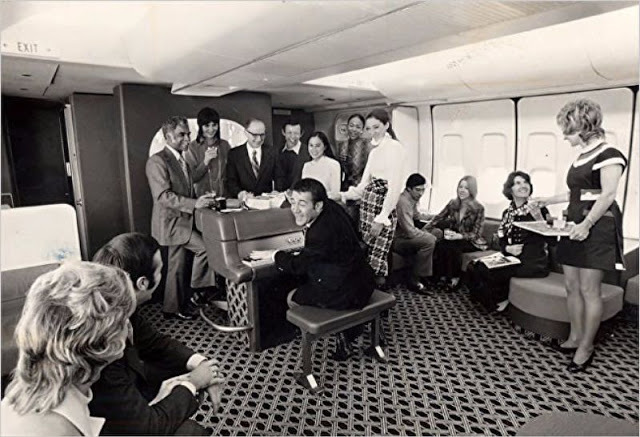 Not merely a recording of somebody playing an instrument on the ground, but a live piano bar in the air. 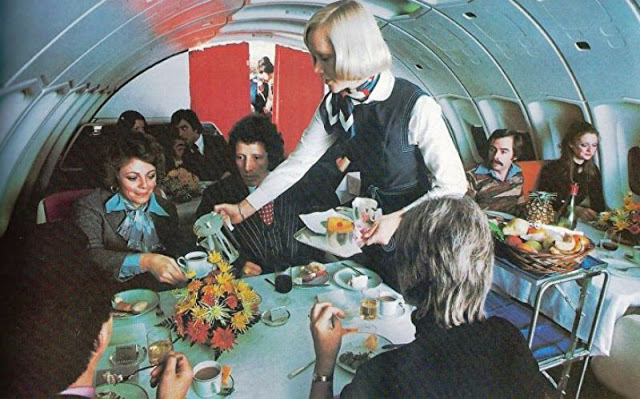 But whichever airline you chose to travel with, your ticket would buy more than just a seat between one city and another: it bought a truly memorable journey, which today’s generation of travellers are beginning to slowly and once again catch a glimpse of.